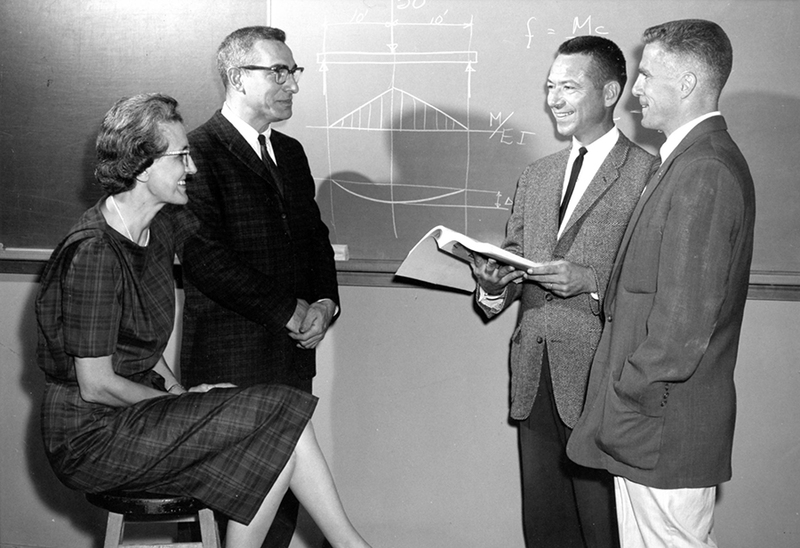 Jim Spenceley (second from left) with NMC colleagues in the 1960s. For exceptional math students at NMC, the James L. Spenceley Scholarship represents an opportunity to continue their education. NMC alumnus Dr. David MacIntosh (’65) established the endowed scholarship in 2015 to provide talented math students the financial support they need to complete their degrees. David and his wife, Dr. Lorah Wright (NMC ’85), make annual gifts to the scholarship fund. The award is an ode to the late NMC math instructor Jim Spenceley, a World War II veteran turned math teacher who dedicated 30 years to NMC students. He was a two-time winner of the Imogene Wise Faculty Excellence Award. In retirement, he served on the NMC Board of Trustees. David believes NMC’s small class sizes and his personal relationships with instructors propelled him to a successful career in medicine. His scholarship gives mathematics students at NMC the chance to experience that same strong start to their education.